Batman wouldn't be where he is without his trusted sidekick, and Alfred's dedication towards his master, needs a story of its own! Alfred Thaddeus Crane Pennyworth, as Alfred is sometimes formally known, is a fictional character appearing in DC Comics, and he serves as trusted butler, confidant, father figure and Bruce Wayne's (Batman's) best friend. Alfred was created by Don Cameron and Bob Kane and he made his first appearance in 'Batman #46' way back in April 1943. While Alfred is Bruce Wayne's full-time butler and housekeeper, he came to be Bruce's legal guardian after Bruce's parents were murdered right in front of his eyes at the tender age of seven. Alfred, in the early comic development phases was meant to be the comic relief for the Dark Knight's brooding themes, but eventually, we see the humorous side of Alfred was toned down a bit, and instead replaced by his sharp tongue and dry wit. Bruce Wayne and Alfred Pennyworth. Alfred is Bruce's main supporters, and one of the few people who know about his alter ego. He takes care of the spoiled billionaire so well and tirelessly, he's known as Batman's Batman. We were introduced to a different Alfred through Fox's series, Gotham, and while his dry wit and ability to think on his feet is the same, we don't see the frail old man we're so familiar with in the comics. Gotham's version of Alfred Pennyworth is most notable in his ability to serve his master, while also being downright excellent in hand to hand combat, often saving Bruce from Bruce's novice crime-fighting ways. Epix's 'Pennyworth' is said to be a prequel to the 'Gotham' series, though a definitive date is not set for its release, the series is said to premiere around mid 2019. Bruno Heller and Danny Cannon, the masterminds behind Batman prequel, 'Gotham', will reprise their roles as producers of the superhero series, but the show doesn't intend to be tied to the 'Gotham' series'. The series, instead, will focus on the origin of Alfred Pennyworth and will feature an original story for a 10-episode season. Alfred Pennyworth and Bruce Wayne in 'Gotham'. 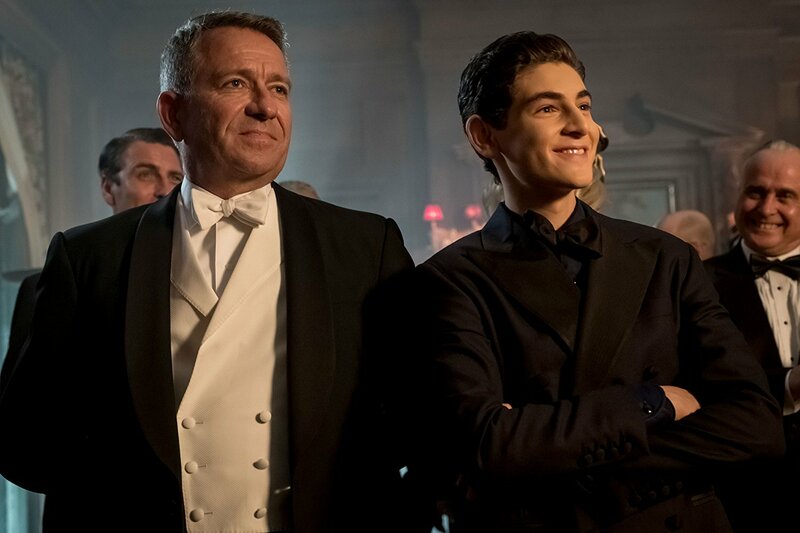 Alfred Pennyworth in this show is a former British SAS soldier, who, in his 20s, formed a security company with the skills he developed as a soldier and catches the eye of the famous young billionaire, Thomas Wayne. The series takes place well before Bruce was born in the 1960s, and will detail the events that led up to Alfred becoming the faithful butler of the Wayne family. We see Ben Aldridge taking up the role of Bruce's to-be-father, Thomas Wayne, and the young, twenty-something Alfred will be played by Jack Bannon.